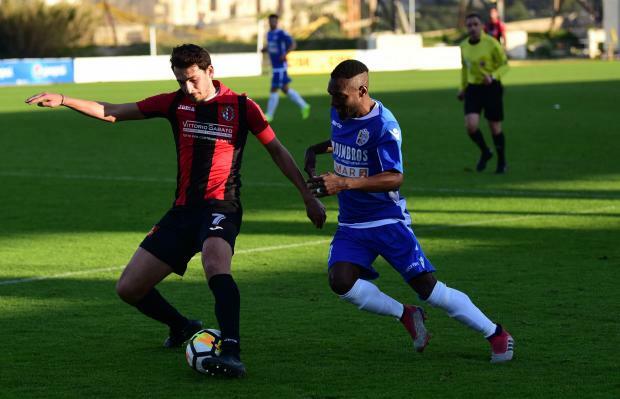 Mosta picked up a valuable win in their fight against relegation when they edged past Ħamrun Spartans at the Hibs Stadium. Ħamrun created the better chances in the first half. The first chance came on 24 minutes when Marco Criaco’s curling cross found Donneil Moukanza who headed straight into the hands of Mosta goalkeeper Andreas Vella. Two minutes later it was William Domoraud who hit a thumping drive that flew just wide. Eight minutes from the break, Ħamrun had the best chance of the half when Nayar picked Moukanza inside the area but the winger headed over from routine distance. Ħamrun tried to step up their game on the restart and on 49 minutes Orestis Nikolopoulos hit a shot on the turn that rolled just wide. Ten minutes later, Roach’s throughball sent Cisotti clear but the Italian’s run was halted by Ħamrun goalkeeper Sean Cini but referee Fyodor Zammit waved play on. Mosta almost forged ahead on 69 minutes when Imeri nodded the ball to Alexander Darlington and his angled drive was brilliantly pushed away by Cini. Nineteen minutes from time Mosta were awarded a penalty when Cisotti picked up a back pass from Nayar and was upended by Cini. From the spot, Imeri sent Cini the wrong way. During the celebrations, Cuomo made some gestures in front of the Ħamrun supporters and picked up his second yellow card which saw him dismissed. Nine minutes from time Domoraud headed the ball towards Ryan Darmanin who slid the ball past Andreas Vella but Tyrone Farrugia quickly recovered to clear off the line. Mosta's Juri Cisotti was named BOV Player of the Match.